Offered here is “FIRST DANCE”, an art print by FRANK CIROCCO. Frank combined two favorite inspirations for this design: a classic movie monsters and the classic illustration style of J.C. Leyendecker! This piece envivions what might have been had the Frankenstein couple gotten along a little better. Printed on heavy-duty matte stock, this poster measures 13″ x 19″ and will look awesome in a frame! Categories: ART, PRINTS & PORTFOLIOS, MISCELLANEOUS, Monsters, PAPER PRODUCTS, POSTERS & LOBBY CARDS. Tags: collectibles, art prints, Bride of Frankenstein, horror movies, Movie Monsters, Universal Monsters, art, frank cirocco, Frankenstein, Pop Culture. 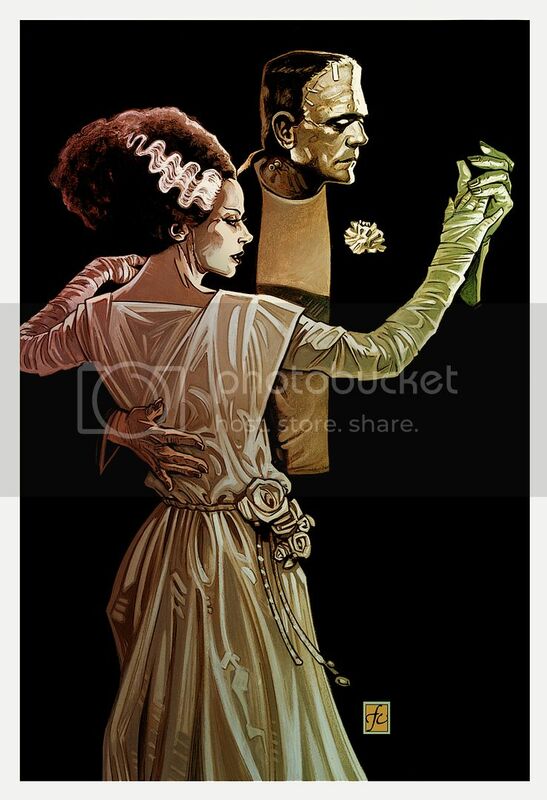 Be the first to review “Frankenstein “FIRST DANCE” Art Print by FRANK CIROCCO (2014) Monsters” Click here to cancel reply.